Dr. Cuttler graduated from the University of Toronto (Engineering Physics, Nuclear) in 1964. He received his M.Sc. and D.Sc. degrees from the Israel Institute of Technology in 1967 and 1971 while employed by IAEC as a research engineer and by the IIT as a laboratory manager. He was the Technical Manager of Seforad Applied Radiation from 1971 to 74, and then began a 26-year career at Atomic Energy of Canada Limited. He led the team that designed and procured the nuclear instrumentation for three CANDU 6 reactors and for Pickering B and Bruce B stations. Jerry was later AECL's engineering manager for Bruce B, resident engineering manager in Romania, engineering manager of the SLOWPOKE district heating reactor, manager of AECL services at Pickering, CANDU 9 engineering integration manager, and a technical services manager. After retiring from AECL in 2000, Cuttler & Associates has been very busy serving Ontario Power Generation, AECL and Bruce Power for Pickering-4 return to service, the MAPLE medical isotope reactors, and the Bruce 1&2 Restart. He continues to provide services to Bruce Power and to OPG for nuclear plant life extension. 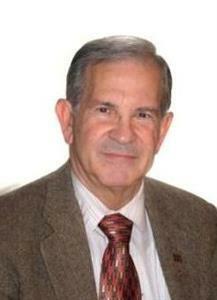 Dr. Cuttler served on the council of the Canadian Nuclear Society for about 15 years and was president in 1995-96. He was appointed Fellow of the CNS in June 2000.